In recent times, the Nigerian music industry has experienced vast successes ranging from collaborations with different renowned international artists like Drake, Omarion, Tinashe to mention a few, to bagging international awards and to holding major concerts across the globe causing Nigerian artistes to be forces to be reckoned with globally. 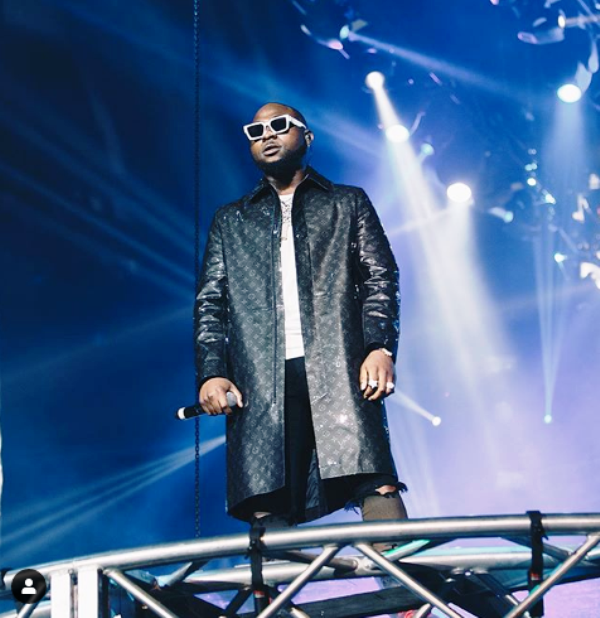 The most recent amid highlight being the sold-out Davido’s concert at The 02 Arena London which has come under heavy fire by some parties in Nigerian music audience especially those on social media who purported that the concert was all a façade and wasn’t sold out as claimed by Davido and his crew. However, in its usual investigative style SecretReporters decided to do a fact check to ascertain if the show which Davido headlined at the 02 Arena with supporting performances by the DMW squad of Dremo, Idowest, Mayorkun, Peruzzi and 2018 breakout artiste, Victor AD who took to the stage to render his smash hit, ‘Wetin We Gain’ was actually sold out or not. Guess what! Information made available to us from the Greenwich Peninsula in South-East London revealed that the concert was indeed sold out as our correspondent who contacted the O2 management got a swift response in which they confirmed: “Yes it was sold out”. The hitmaker Davido has now joined the list of world’s iconic musicians like Beyoncé, Alicia Keys, and Nigeria’s Wizkid to become the second African Artist to sell out at the multipurpose O2 Arena with a sitting capacity of 20,000. 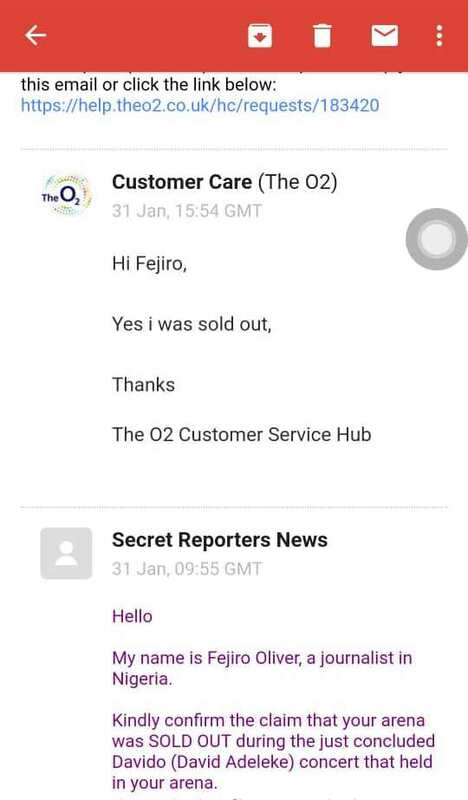 Reply from O2 Arena confirming Davido’s Concert was Sold Out. Being a major success it is expected that criticism and doubts are to arise from non-supporters of Davido and doubting Thomases alike.